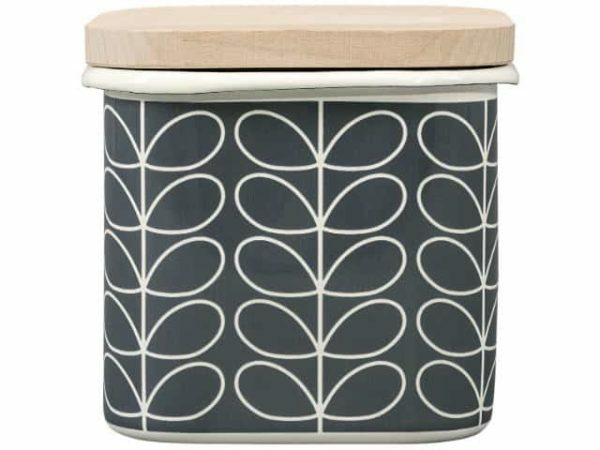 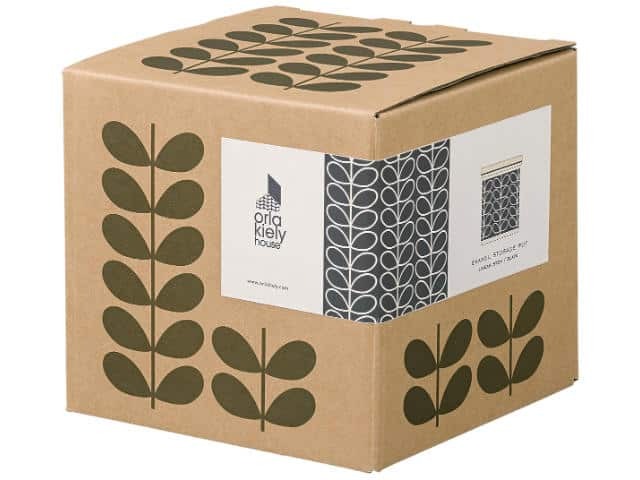 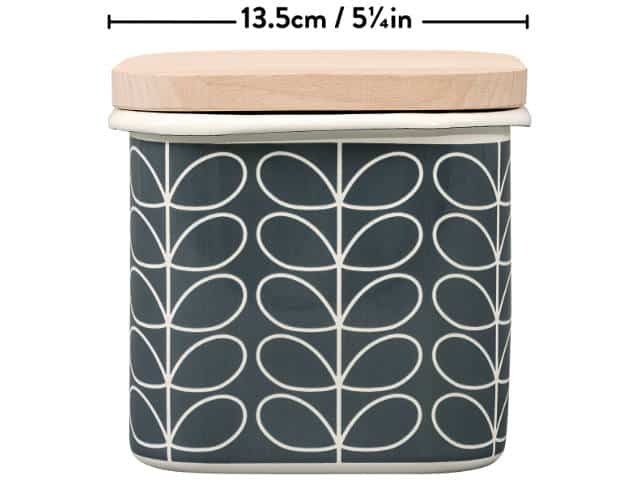 Orla Kiely Enamel Storage Jar Linear Stem Slate is a beautiful kitchenware essential. 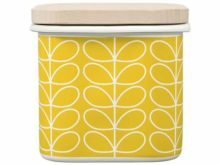 Keep your biscuits, tea bags or sugar safe and dry with this enamel container. 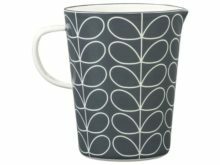 In Orla’s iconic Linear Stem print in cool slate grey it is perfect for any kitchen colour scheme. 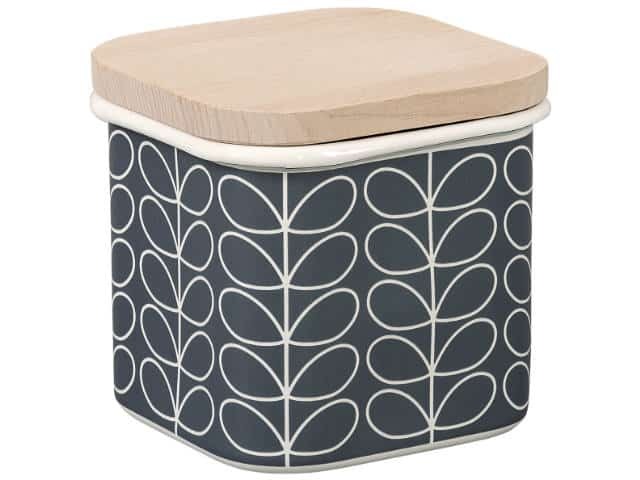 The contemporary Scandinavian style beech wood lid will ensure your food stays fresh. 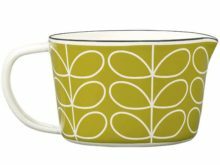 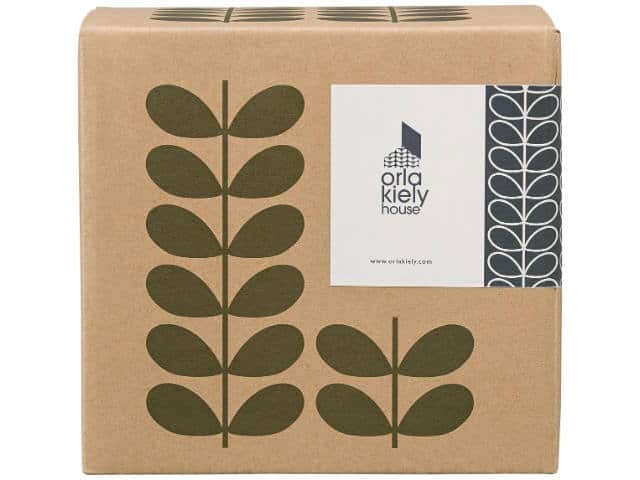 In addition, you can pair with other Orla Kiely enamel items. 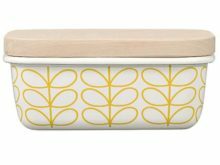 Thus creating a display of retro Linear Stem print containers.